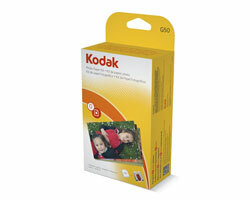 The new G series KODAK Photo Paper Kit enables you to make 50 borderless 4 × 6 in. prints, so you can keep printing longer. And, with XTRALIFE™ lamination, you will have Kodak quality pictures that last.